The Panasonic GH5 and G9 are similar, yet very different at the same time. Despite sharing many features, there are a few substantial differences that set them apart, especially if we consider their target audiences. 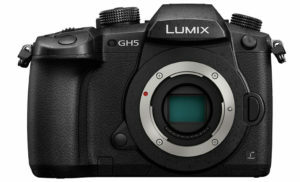 The GH5 is the latest iteration of a flagship series that has long been popular amongst filmmakers, from the original GH1 and GH2 (the latter was hacked to increase the video quality) to the more recent GH4 and GH5 into which Panasonic packed much of its vast experience with pro camcorders and broadcasting products. The G9, on the other hand, is a camera that targets still photographers and above all, aims to win over sports and wildlife shooters. The way in which it was designed and some of the features make it one of the most interesting choices for these genres, putting it into direct competition with the Olympus OM-D E-M1 II. 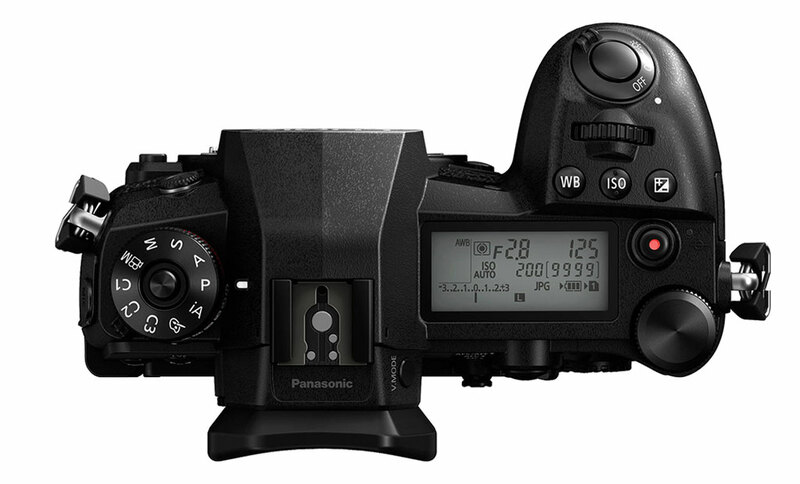 We went into detail about how the G9 stacks up against the E-M1 II in this article here, but this preview is all about how the two Panasonic flagship cameras compare. Let’s have a look! Ethics statement: The information supplied in this article is based on official specs and our experience with Lumix products. If we get the chance to test the two cameras side by side, we will publish a full comparison. We were not asked to write anything about these cameras, nor were we provided with any sort of compensation. Within the article, there are affiliate links. If you decided to buy something after clicking the link, we will receive a small commission. To know more about our ethics, you can visit our full disclosure page. Thank you! The two Lumix cameras are similar in terms of their dimensions, with the G9 being slightly deeper because of the larger grip out front. The GH5 is heavier at 725g versus the 658g of the G9. Both come with full weather sealing (dust, splash and freeze proof down to -10°C). 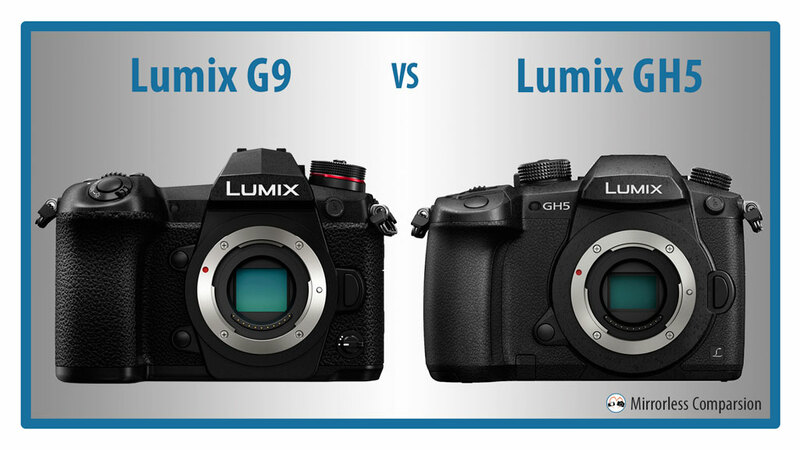 One of the main differences that will catch you eye right away is the top LCD screen on the G9. Similar to the one seen on many DSLRs, it displays many settings as well as the remaining battery life and memory card space. Other differences include the stacked shooting mode and drive dial on the G9, in addition to a new front function lever. 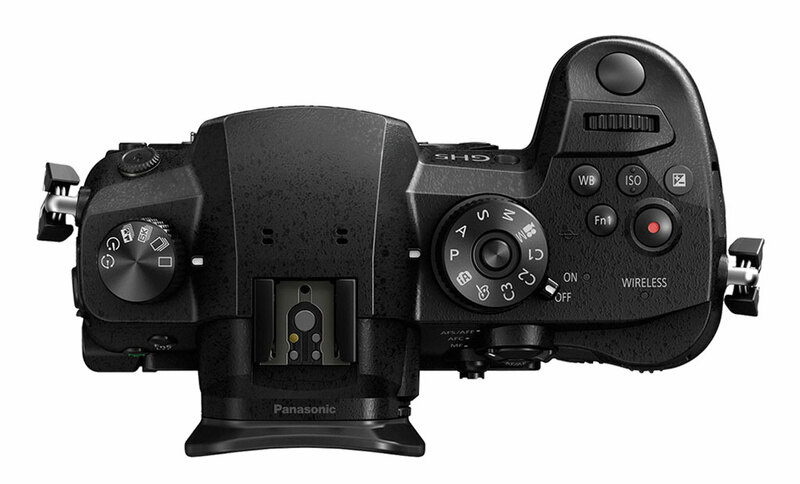 As for everything else, there aren’t many significant differences to point out: the two cameras share a number of physical features including a dual SD card slot (UHS-II) and an AF joystick on the rear. Both cameras use an OLED panel with 3,680k dots of resolution. However that of the G9 features a higher magnification of 0.83x compared to the 0.76x magnification of the GH5. Furthermore, you can toggle between two additional magnifications on the G9 via a dedicated button (0.77x or 0.70x) if you find the largest value to be too much, which could be the case if you wear glasses like I do for example. Another improvement on the new camera is the frame rate which can be increased to 120fps from the standard 60fps. The latter is the only speed you’ll find on the GH5. The rear LCD screen of the GH5 is slightly larger (3.2″ vs 3.0″) and has more resolution than that of the G9 (1,620k vs 1,040k dots). They both have a multi-angle mechanism with which you can flip them to the side and rotate them up 180°. But what’s even more interesting is a new function available on the G9 called night mode. Once selected, it disables the green and blue channels, leaving the live view on the screen (or EVF) with just the red channel. This allows you to work in the dark without too much backlight from the screen, which can be annoying when shooting star-scapes for example. I’ve dealt with this situation before by simply decreasing the luminosity of the screen but perhaps this mode can bring other advantages too. The cameras feature the same 20MP sensor with no low-pass filter for increased sharpness and detail rendering. 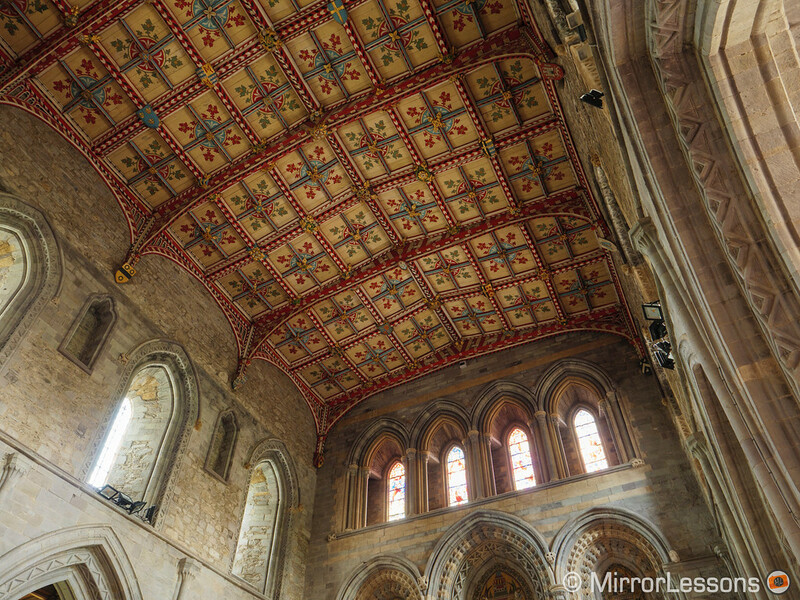 The ISO range is also the same (100-25600) but Panasonic states that the Venus Engine image processor has been tweaked to improve colour rendering and noise reduction for the JPG files. The same improvements are expected for the 4K and 6K Photo modes. This is good news as we already find the JPG files of the GH5 to be excellent so if Panasonic has further improved the quality, the G9 may become one of the mirrorless cameras with the best SOOC JPGs. The G9’s autofocus algorithm is based on the same technology used for the GH5, which means the latest DfD contrast detection system with 225 points and a 480fps drive speed. Here as well we find a few relevant software improvements: the G9 is said to be slightly faster than the GH5 (0.04s focus acquisition instead of 0.05s) and the camera is capable of detecting not only faces but also human body shapes. Our experience with the GH5 has been very positive concerning the autofocus performance for stills and video. 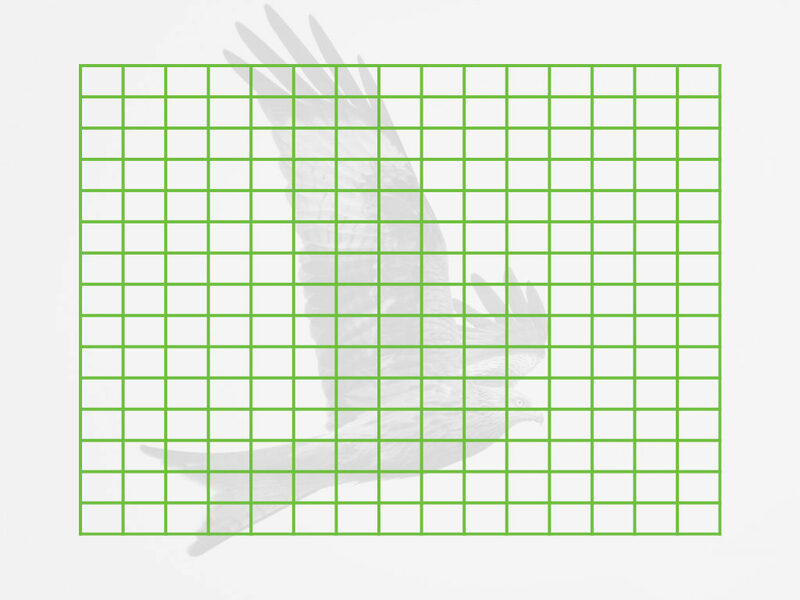 The only genre that causes the camera to struggle is birds in flight. It will be interesting to see to what extent Panasonic managed to improve the AF of the G9. There are also a few new features on the G9 such as AF Point Scope that allows you to briefly switch to a magnified view of your focus point to make sure the AF acquisition is correct. 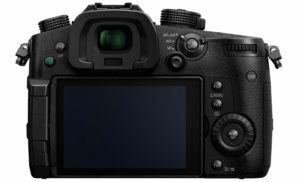 The G9 can also memorise AF area positions according to the orientation of the camera. With the mechanical shutter, both the GH5 and the G9 have the same performance: 12fps with S-AF and 9fps with C-AF. If you activate the e-shutter on the GH5, there isn’t any improvement, if not that the maximum shutter speed rises to 1/32000s from 1/8000s. On the G9, it’s a different story: with the electronic mode the camera can shoot up to 20fps with continuous autofocus and AE, and up to 60fps with the focus locked on the first frame. We have yet to see how distortion caused by rolling shutter will affect fast movements on the G9. We saw a good improvement on the GH5 over previous models but the faster sensor readout of the G9 could give the camera an extra advantage here as well. The GH5 features 5-axis stabilisation on the sensor and is compatible with Dual I.S., the technology that allows the camera to use sensor and optical stabilisation in conjunction to further improve the results, especially with telephoto lenses. The official rating is 5 stops of compensation. In our tests with the camera, we found the performance to be good but not exceptional and with Dual I.S. failing to make a substantial difference in most cases. Perhaps the area that reaps the benefits of Dual I.S. more than any other is video recording, as the jittering previously seen with OIS lenses is reduced to a minimum. The G9 features an updated version of this mechanism that raises the official rating to 6.5Ev. This looks like a substantial improvement over the GH5 so we’ll see how the new camera behaves in real world shooting conditions. And let’s not forget that Panasonic started to develop this technology only two years ago so I wouldn’t be surprised to see more tangible improvements now that the company has gathered lots of experience and feedback. The G9 takes advantage of the improved stabilisation system to introduce a feature only seen on Olympus cameras until recently. 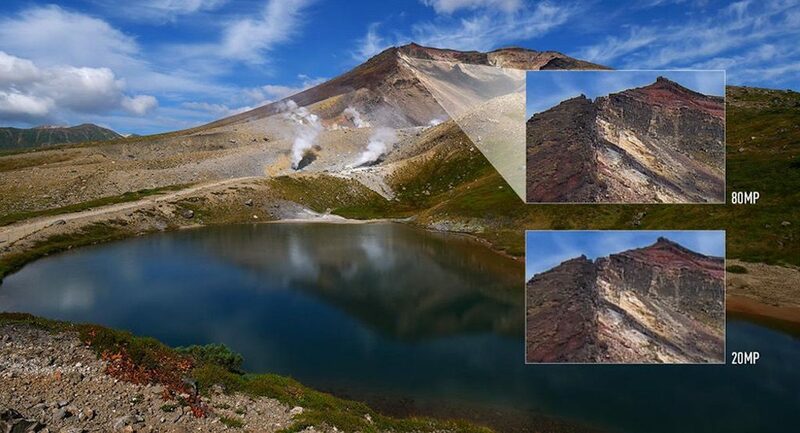 By taking 8 images and shifting the sensor by half a pixel in between shots, the camera can composite a final image with 40MP or 80MP of resolution. Furthermore, this process allows you to capture better colours because each point of the scene is covered by one red, one blue and one green pixel thanks to the moving sensor. Like Olympus cameras, this mode will only give you good results if you put the camera on a tripod and work with static subjects. It can be quite useful for macro or landscapes as long as there aren’t strong winds moving the leaves, water or other elements. You can record a JPG and RAW file. 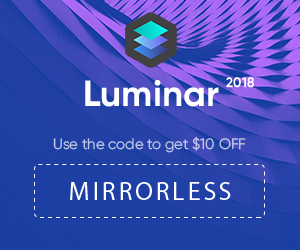 It’s impossible to talk about Panasonic cameras without mentioning the video side of things, especially if we consider that the GH5 is one of the most advanced mirrorless cameras to date when it comes to filming. First let’s see what they have in common. They can both record 4K up to 60fps and 150Mbps although the G9 is limited to 10 minutes at 50/60p and 30 minutes at 30p per clip. The GH5 on the other hand has unlimited recording. In 1080p they can record up to 180fps in VFR mode which means that the slow motion result is already conformed in-camera. They feature a full sized HDMI port to work with external recorders. This all sounds pretty good already but the GH5 has many more features on top of that – indeed video is the one area where it clearly outclasses the G9. We have 10-bit 4:2:2 internal recording up to 400Mbps, V-Log L and HDR gamma profiles, a 6K anamorphic mode at 24fps and tons of pro-oriented settings including master pedestal and more. One new feature found on the G9 that could be extremely useful to GH5 users is the USB functionalities. In addition to using the port to charge the camera, you can now use it to power it while it’s recording. 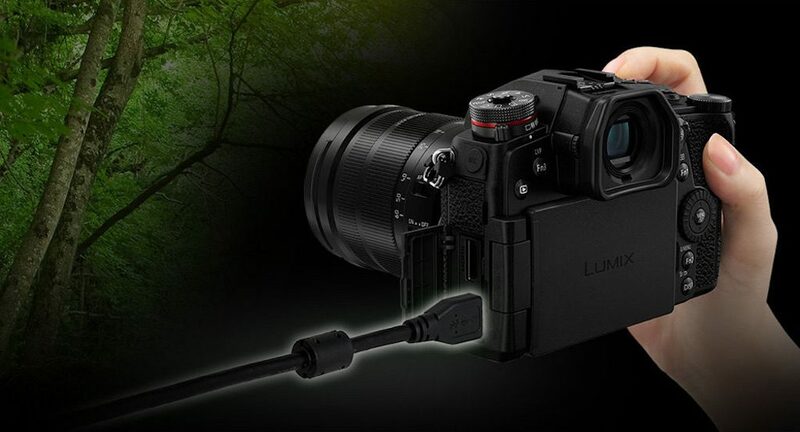 This can be useful for long recording sessions or when shooting outdoors for many hours by connecting it to a USB mobile charger. 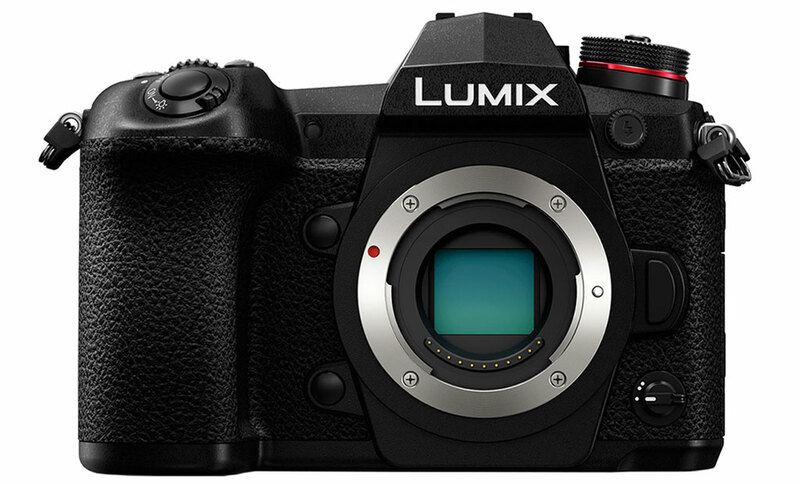 Given that the GH5 is more video-oriented and has a USB 3.0 port like the G9, let’s hope that Panasonic can implement this feature via firmware update! It is easy to pick one or the other according to your stills or video preferences as explained in the introduction. However there are certain aspects that require more testing in order to gain a better understanding of how significant some of these on-paper differences are. For example, how much better is the autofocus of the G9 compared to the GH5? And how good is the G9’s video quality given that it lacks the 10-bit option, amongst other things? When we tested the GH5, we were impressed by its many features and found it performed extremely well for everything except very specific genres like birds in flight. 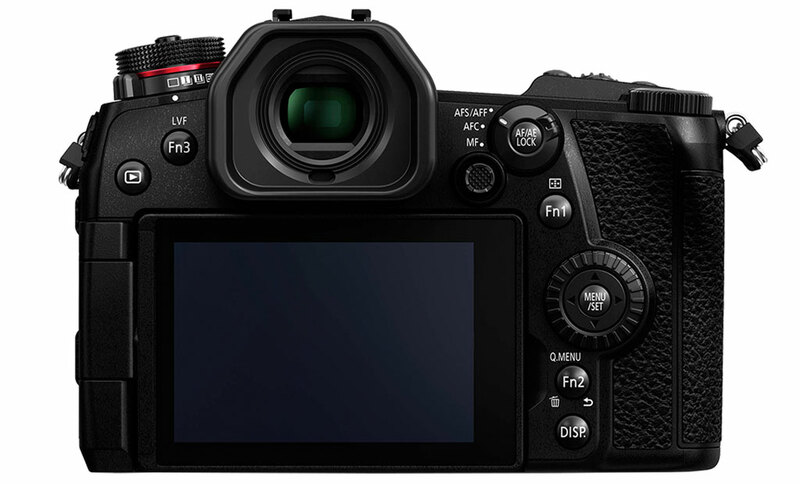 In some ways, such as the AF performance, the G9 could surpass the GH5 while in other ways, it will remain a second choice, especially for those who want the best video capabilities. Another topic is the price, which could help you come to a final decision if you’re really struggling to choose between the two. The G9 is less expensive at $1700 / £1500 / €1730 while the GH5 can be found for around $2000 / £1700 / €1800.